“There are some things money can’t buy. For everything else, there’s MasterCard”; “Don’t leave home without it” – These may have been catch-phrase slogans of yester-years by Master Card® and American Express®! These days, the slogan seems to be changing to, “Leave everything else behind, but don’t leave home without your smartphone. There is nothing that your smartphone can’t buy…. ”!. “There are some things money can’t buy. For everything else, there’s MasterCard”; “Don’t leave home without it” – These may have been catch-phrase slogans of yester-years by Master Card® and American Express®! These days, the slogan seems to be changing to, “Leave everything else behind, but don’t leave home without your smartphone. There is nothing that your smartphone can’t buy…. ”!. In other words, the mobile device is becoming a multi-function device, the idea of which I was trying to promote in a conference about 10 years ago at the height of the hype cycle associated with 3G network launch, lack-lustre mobile devices and WAP (Wireless Access Protocol), none of which stood up to its promises in terms of speed, ease of use, affordability etc. Fast forward 10 years; with the ubiquitous availability of smartphones and broadband access combined with affordable prices and multitude of easy to use applications, the time now seems ‘right’! The CEO of Vodafone UK reckons people will now start leaving their wallet at home as well as their keys when these are integrated into their mobile phone as Near Field Communication (NFC) enabled digital access card. 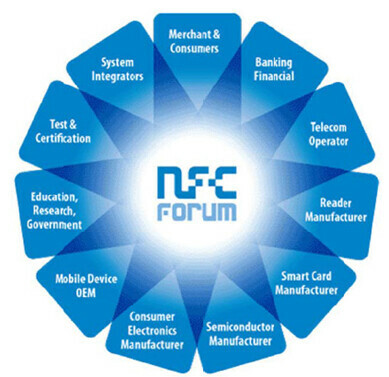 NFC is a standards-based connectivity technology that harmonises today’s diverse contactless technologies to make life easier and more convenient for consumers around the world by making it simpler to make transactions, exchange digital content, and connect electronic devices with a touch. It is believed that NFC-enabled mobile wallet will eliminate the need to carry cash, credit and debit cards, reward cards, coupons, tickets and transit passes, fundamentally changing how you shop, pay and save. All with your phone! What if you lose your phone? A Day in the Life covers such a scenario! There is no shortage of recent NFC trials around the world. Mobile operators, banks and card franchises all want a piece of the action and customers’ wallet share! ISIS in the USA, mobile wallet in Europe, Sony Felica and DoCoMo mobile wallet in Japan, Commbank Kaching in Australia and Visa payWave application for Vodafone NZ and Bank of New Zealand are all attempts at vying for the mobile commerce transaction! Mobile commerce is not new for mobile operators. After the launch of 3G networks several years ago, customers have been able to pay for micro transactions such as charges for ring tones, screen savers, video downloads etc. through their monthly phone bills. What is new with NFC is that it enables the online and brick-and-mortar worlds to be seamlessly integrated into a common eco system. By bringing together banks, merchants (i.e. retailers, food stores, gas stations and others), advertisers, other marketing partners and consumers, the mobile commerce network is expected to provide an enhanced real world shopping experience that is more accessible, convenient and personal. customer analytics that utilises detailed data on customers’ use of transportation services and commercial facilities. To keep business cycle moving effectively and positively in the NFC eco system, it is important to create value for both customers and businesses. Customers should be able access and review how many loyalty points they have earned and the value that remains on NFC-enabled mobile wallet. Usage data can be collected from ticket gates at the cinemas, transaction in retail outlets, machines installed in transportation networks and electronic money terminals. At the core of customer analytics is the Enterprise Data Warehouse (EDW) which integrates data across several dimensions and provides actionable information and knowledge-based decision making capability. The history and details held in the EDW can even be used to track the location where you lost your NFC-enabled mobile wallet and possibly send you an alert to your TV screen when it has been found! Imagine that!